For those looking to skim his tome, this pretty much describes the curious person that emerges after 328 pages of personal tribulation, interspersed with six-stringed glory, substance abuse, serial infidelity and world travel. Clapton somehow took a life of 62 years, overflowing with artistic success and rock-star glamour, and make it seem terribly drab. We can blame this unusual and unflattering portrait on the tact the guitarist took with his haughtily titled “Clapton: The Autobiography”: Tell your remarkable life story as if you were in an Alcoholics Anonymous group meeting. Confess every sin in grueling detail but offer little judgment or explanation and any more convincing emotional power deeper than words printed on a page. As this book makes plain, drugs and alcohol aren’t the only things that Clapton struggles with. Luckily, he’s a pretty good guitar player. Clapton’s book continually plays out like a story with a spoiled conclusion. At every turn, we’re confronted with a premise that is intriguing (a new song idea emerges, a striking woman enters his life, take your pick). But then, the ensuing sentences are so thoroughly sucked of depth or descriptive charm that readers can only shake their heads in bafflement. Clapton’s stately English reserve doesn’t comfortably jibe with the near-constant tumult in his professional and private lives, and the fact that he can talk about all his dirty deeds with the literary equivalent of a monotone raises many more questions than it answers. Somewhere along the line, rock’s most famous living axeman succeeds in slicing all the charm and insight from what truly had the makings of an interesting read. Add to this, there’s the fact that he often comes across on the page as more of a country squire than a rock star, much less an artist. He wastes too many sentences blathering in detail about the life of a rich English gentlemen (Eric, do tell us again in detail how you just had to have that Ferrari!). Reader must endure his ideas about Versace fashion, fishing, cricket and game hunting. Music too often slips into the background as drugs/booze and his latest nameless conquest become paramount concerns. Songs, meanwhile, are burdens that Clapton must develop when it’s record-making time. He reveals a little about the genesis of one or two tracks, but it’s not especially enlightening, except in the case of his ’70s hit “Wonderful Tonight,” which he said was originally written in anger and frustration. Even then, his prose is a blur of this happened and that happened and some of these people were there. Like his approach to recording albums, the book has a belabored aura about it. It’s understandable to a certain extent. Detailing how you felt after your son tragically fell from a New York high rise or how you lusted after pal George Harrison’s wife for years and then quickly mistreated her once she became yours can’t be easy. But no one was forcing him to write about the ugly side of his life. So why, after all these years, did Clapton decide to open up now? For one, the past has clearly been on his mind of late and his recent career choices demonstrate that he’s in a reflective mood. He briefly reactivated Cream, his legendary ’60s blues-rock supergroup, for a handful of gigs in London and New York. At the same time, he hired a pair of young, hot-shot guitar slingers — Doyle Bramhall II and Derek Trucks of the Allman Brothers Band — for a couple of records and extensive tours. The trio’s guitar showdowns consciously mirrored the ones that Clapton had during his “Layla” period with Duane Allman and Derek & The Dominoes. And this week, Clapton announced that he would reunite with Steve Winwood for a string of dates at New York’s Madison Square Garden. This reunion is no doubt an attempt to finally fulfill the aborted collaboration the pair attempted with Blind Faith in 1969. However, in contrast to Clapton, Dylan’s book was such a sensation because of his surprising candor and straightforwardness. He still enjoys a level of mystery about his life, encouraged by the amount of subterfuge and elusiveness that he ritually engages in during his dealings with the media. The idea that the pop music sphinx would suddenly start spilling his guts made the book a must-have. Clapton’s story, however, is well-known and he’s never shied from being candid in interviews. Stripped of many surprises as well as Dylan’s power of description and sarcastic humor, Clapton’s book instead relies on the level of lurid detail to draw in readers. Clapton fills too many pages with scenarios that will shock and titillate. (We can also laugh at his expense, as when he believes punk rock appeared in the 1980s and sincerely calls them “punkers.”) The book devotes too little time to analysis of what he or others around him are doing. He’s too much the passive witness and one who doesn’t offer up any explanations. He makes a valiant stab at explaining his inscrutable friendship with Harrison, but never really sizes up his buddy or why either would want to remain friends. 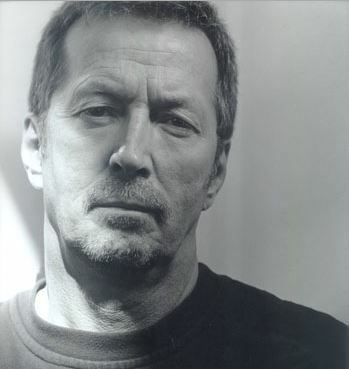 The book’s central drama is Clapton’s battle with addiction, and here he begins to display some convincing emotions. “The truth is the only thing that I couldn’t live without was alcohol,” he says poignantly. However, the guitar ace declines to delve deeper into the experience of being drunk or what he was really seeking beyond an excuse for bad behavior. He tells readers how he’d relapse and the pains that he’d go to feed his addiction, but never what ultimately motivated him again and again. The clues are there, but he doesn’t connect them together. Clapton does finally transmit a modicum of feeling when he describes how he reached his breaking point in a Minnesota rehab clinic. It isn’t a climatic moment readers might hope for, but one of quiet, focused sincerity. It’s one of the few times that Clapton’s spare style seems genuine and appears to translate into something readers can connect with. If we can take any core value away from Clapton: The Autobiography, it’s in the amount of weight that Clapton places on honesty and truthfulness. He believes in its redemptive as well as instructional power, which is likely why he agreed to write this. But, do you want the truth about Clapton’s book? Listen to one of his records instead. Tags: Blind Faith, Bluesbreakers, book, Cream, Derek & The Dominoes, Eric Clapton, review. Bookmark the permalink.